If you have a Calgary bus pass, you can go anywhere—within the city—and will also help you in getting out of town though not entirely (e.g., my trip to CrossIron Mills). Similarly, the best way to get around is through the Calgary public transportation: bus and C-Train (LRT) are operated by the Calgary Transit. Using the bus pass, you can hop in and out as you please. Just a caveat, such habit of traveling and being mesmerized with the city comes with a price—a high fare—that you can avoid by buying the low-income monthly transit pass. Such type of Calgary bus pass can only cost $50.50 per month (adult low-income bus pass)—that is—if you pass the eligibility requirements. The first thing you should consider is your income. In general, Calgary residents who are 6 years old and above, and have met the income eligibility criteria is qualified. For one adult applicant, he/she must be 18 years old and above with a gross income in a year of less than $24,949.00 (Low Income Cut-Off effective January 1 – December 31, 2018) and lives in Calgary during application and renewal. During application, you need to show proof of residency and identity. Commuters who go to work and newcomers who are starting to earn and learn hugely benefit in this program. Determine if you are qualified. Download or get the application form at Calgary Transit Customer Service Centre and other offices. The fastest way is to download the form. If you don’t have a printer, go to the nearest library accessible via C-Trains and ask a staff if you’re having trouble. Submit the form together with other requirements at Calgary Transit Customer Service Centre or at City Cashiers. For the former, you can choose between two locations: Centre Street Station or Bow Parkade. Other than the requirements, arm yourself with patience as you have to line up along with the people wanting to purchase a transit pass and ticket. Look at the bright side, upon approval, you can have the low-income monthly transit pass right away. Hop in and out of Calgary public transportation. Roam the city and shopping centers. Download the application form and learn in details the application procedure. 1. Save yourself from the trouble of not using Calgary bus pass . Put it in a wallet or wear it like an ID. Or clip it in your jacket; however it suits you. Just as long as you don’t lose it. Otherwise, be prepared to scour some coins every time you ride a public transportation or to validate tickets even if you are in a hurry for work or appointment. 2. Add your savings from a discounted Calgary transit bus pass to your savings account or TFSA. A regular adult pass can cost you $94.00, more than twice the price of the subsidized one. 3. Spend for it each month and make a refund at the end of the year. You can claim the tax credit for public transit passes. Don’t forget to total the cost of bus passes within a year and include it in filing your income tax return. Keep all the receipts and passes in a box or in a file that you cannot forget. Increasing savings and claiming tax credit by only spending less than half of the regular adult pass is my most favorite frugal trick. Do not lose your pass as it is not replaceable and not transferable. One pass for each person. Bring it always with you: the fine for not having a valid ticket or transfer is $250 along with the guilt and record. Buy the pass for the next month in the middle of the month. Avoid buying at Calgary Transit – Centre St. in downtown at the end of the month, especially if you don’t have time and patience for a long queue. Save time by going to other locations: Southland Leisure, Village Square, and Recreation Customer Service Centre. Take note that these centres cannot process application. Get your refund in less than 2 weeks and have it deposited to your bank account. After filing you’ll receive the Notice of Assessment, one of the requirements. Put your passes in a sturdy plastic protector. Remember you’ll use it for a month. You don’t want it to be mangled like you’ve wrestled with a person or forces of nature just to get your pass. Go grab a freebie. If you’re going to pass the application in Calgary Transit Customer Service Centre, don’t forget to get a free Calgary Transit Map, a handy dandy guide in traveling. Price changes over time so keep yourself informed of Calgary Transit update. 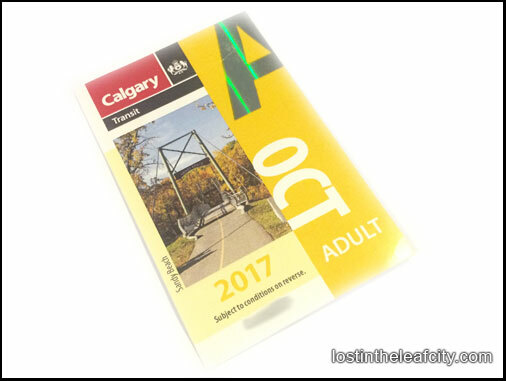 Different types of Calgary Transit bus pass are available. Save based on the plan and duration of a trip. If you’re traveling just for a day, buy a day pass or just the adult ticket either book of 10 in stores or single in C-Train Stations. Are you qualified this year? If not, still don’t forget to save the receipts. Either way, make your trip worthwhile. Discover what the City of Calgary has to offer. You don’t have to spend much anyway. Get the direction, pack a snack, and enjoy the journey not just the destination.